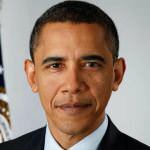 Barack Obama was elected as the 44th President of the United States in 2008, and the first African-American President. He won re-election in 2012. He is married to Michelle Obama, a former lawyer, and has two daughters, Sasha and Malia. At a $10,000-a-head fundraiser for Hillary Clinton on Martha’s Vineyard, President Obama says he is tired of talking about Trump. You notice I haven’t said much about her opponent. Frankly, I’m tired of talking about her opponent. I don’t have to make the case against her opponent because every time he talks he makes the case against his own candidacy…This has been an unpredictable election season. Not only because of anxieties and concerns that the American people have, but also because of the changing nature of the media and voting patterns. There’s still a lot of uncertainty out there. And if we are not running scared until the day after the election, we are going to be making a grave mistake. In Beaufort, SC, Trump responds to President Obama’s comments saying he will never be president. He has done such a lousy job as president. You look at our budgets. You look at our spending. We can’t beat ISIS. Obamacare is terrible. We’re going to terminate it. We’re going to absolutely terminate and replace it. I mean you look at everything. Our borders are like Swiss cheese….You’re lucky I didn’t run last time when Romney ran because you would have been a one-term president. At a press conference during a summit with Southeast Asian leaders in California, President Obama says that he believes Trump will not be president. I continue to believe Mr. Trump will not be president. And the reason is that I have a lot of faith in the American people. Being president is a serious job. It’s not hosting a talk show, or a reality show…The presidency isn’t “a matter of pandering and doing whatever will get you in the news on a given day. And sometimes, it requires you making hard decisions even when people don’t like it…Whoever’s standing where I’m standing right now has the nuclear codes with them, and can order 21-year-olds into a firefight, and (has) to make sure that the banking system doesn’t collapse, and is often responsible for not just the United States of America, but 20 other countries that are having big problems, or are falling apart and are gonna be looking for us to something…The American people are pretty sensible, and I think they’ll make a sensible choice in the end. The good news is this is not like Ebola, people don’t die of Zika. A lot of people get it and don’t even know that they have it. Obama declares an official State of Emergency in the Flint Water Crisis. The move, requested by Gov. Snyder, frees up $5M in federal aid funding. Snyder’s initial request sought $31M, but this was denied on the grounds that the mandates allowing funds on that scale to be released are only available for natural disasters. Obama’s declaration will also free up FEMA to co-ordinate relief efforts in Flint. The Obama administration announces plans to halt new coal mining leases on federal land until it completes a review of fees. The administration wants to ensure that those fees secure a fair price for the mining rights and that the fees charged reflect the environmental costs of coal mining and use. Coal mining companies at present pay a $3 fee for each acre of federal land leased and a royalty on the sale price of strip-mined coal. The rate was set in 1976. 40% of coal mined in the US is mined on federal land. That’s an area where there’s just not enough national consensus at this stage to even consider it. And part of it is is people’s concern that that becomes a prelude to taking people’s guns away…Part of the challenge of this is that the gun debate gets wrapped up in broader debates about whether the federal government is oppressive and there are conspiracy theories floating around the Internet these days all the time. 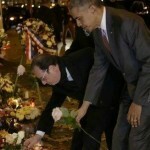 Obama, President Hollande, and Mayor Hidalgo visit the Bataclan venue where ninety people were killed. After placing his rose, Obama stands in silence with his head bowed and his hands clasped in front of him. He then walks away with his arms around Hollande and Hidalgo. President Obama comments on the Paris attacks, saying he has not spoken to French President Francois Hollande but would shortly. Once again we’ve seen an outrageous attempt to terrorize innocent civilians. This is an attack not just on Paris and not just on people of France, but this is an attack on all of humanity and the universal values that we share. The president He said his team is was still gathering information and he didn’t want to speculate about who might be responsible. [We will do whatever is necessary] to bring these terrorists to justice, and to go after any terrorist networks that go after our people. The French people have stood shoulder to shoulder with the United States time and again. And we want to be very clear that we stand together with them in the fight against terrorism and extremism. Mohamed visits the White House for its second astronomy night. President Obama speaks briefly with him, and gives him a hug. He is at the front of the crowd when the President delivers a speech. Obama offers his condolences to the families of those who were killed. [America] will wrap everyone who’s grieving with our prayers and our love. [But] our thoughts and prayers are not enough…Somehow this has become routine. The reporting is routine. My response here at this podium ends up being routine. The conversation in the aftermath of it. We’ve become numb to this. We’ve talked about this after Columbine and Blacksburg, after Tucson, after Newtown, after Aurora, after Charleston. It cannot be this easy for somebody who wants to inflict harm on other people to get his or her hands on a gun…Each time this happens I am going to say that we can actually do something about it but we’re gonna have to change our laws. And this is not something I can do by myself. Strange is it may seem, there were many common points. There were also disagreements which we agreed to work together. I hope this work will be constructive. I would like all men and women of good will in this great nation to support the efforts of the international community to protect the vulnerable in our world and to stimulate integral and inclusive models of development. Holy Father, we are grateful for your invaluable support of our new beginning with the Cuban people, which holds out the promise of better relations between our countries, greater cooperation across our hemisphere, and a better life for the Cuban people. The president and Pope meet for one-on-one talks in the Oval Office, with the Pope receiving a sculpture of an ascending dove made from metal taken from the Statue of Liberty and wood which once grew in the White House garden. Pope Francis arrives for his first visit to the U.S. and is greeted by President Obama, Vice President Biden and their families at Joint Base Andrews, outside Washington. On the plane from Cuba Francis dismisses suggestions that he is a socialist, saying that despite his warnings of the inequities in the global economic system, his beliefs are consistent with the established social doctrine of the Church. After a brief private meeting with Obama in a VIP suite, the pope leaves for the residence of the Vatican ambassador to the United States in a black Fiat hatchback car with the number plate SCV 1. President Obama tweets support for Mohamed. 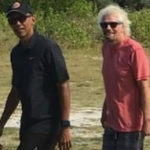 Lundestad says he regrets the decision to award the Nobel Peace Prize to President Obama in 2009, saying he failed to live up to expectations. The award was expected to boost the President but instead, the decision was met with criticism in the U.S.
Lundestad says the President considered not going to pick up the award, and that his staff inquired whether other winners had skipped the ceremony. They found that this has happened only on rare occasions, such as when dissidents were held back by their governments. They therefore realized that they had no option but to travel and accept the award. 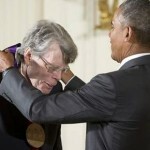 King receives the 2104 National Medal of Arts from President Obama for “combining storytelling with analysis of human nature”. Other recipients include Sally Fields and Alice Waters. In 1896, a prospector emerged from exploring the mountains of central Alaska and received news that William McKinley had been nominated as a candidate for President of the United States. In a show of support, the prospector declared the tallest peak of the Alaska Range as “Mt. McKinley”—and the name stuck. McKinley became our 25th President, and was tragically assassinated just six months into his second term. But he never set foot in Alaska—and for centuries, the mountain that rises some 20,000 feet above sea level, the tallest on the North American continent, had been known by another name—Denali. Generally believed to be central to the Athabascan creation story, Denali is a site of significant cultural importance to many Alaska Natives. The name “Denali” has been used for many years and is widely used across the state today. Justice and equality was the mission that spanned his life — from his leadership of the Student Nonviolent Coordinating Committee, to his founding role with the Southern Poverty Law Center, to his pioneering service in the Georgia legislature and his steady hand at the helm of the NAACP. Julian Bond helped change this country for the better. And what better way to be remembered than that. These efforts are not a sign that we have moved past the shameful history that led to the Voting Rights Act. Too often, they are rooted in that history. They remind us that progress does not come easy, but that it must be vigorously defended and built upon for ourselves and future generations. Obama unveils the final version of America’s Clean Power Plan, which sets a goal of cutting carbon pollution from power plants by 32 percent by 2030, compared with 2005 levels. The rule assigns each state a target for reducing its carbon pollution from power plants, but allows states to create their own custom plans for doing so. Obama says that the plans will lead to lower energy bills for everyday Americans and create jobs in the renewable energy sector. [These rules are] the biggest, most important step we’ve ever taken to combat climate change.Power plants are the single biggest source of harmful carbon pollution that contributes to climate change. But until now there have been no federal limits to the amount of that pollution that those plants can dump into the air….Climate change is not a problem for another generation. Not anymore. President Obama blocks President Mugabe from attending his special meeting at the African Union headquarters in Addis Ababa, Ethiopia. Press secretary Charamba says Mugabe is unmoved by Obama’s visit to the AU headquarters, describing the event as just “a visit by any other visitor”. President Obama extends his condolences on the event of Kalams death. He pays rich tributes and says that Kalam served as an inspiration to millions of Indians. A scientist and statesman, Dr Kalam rose from humble beginnings to become one of India’s most accomplished leaders, earning esteem at home and abroad. An advocate for stronger US-India relations, Kalam worked to deepen our space cooperation, forging links with NASA during a 1962 visit to the United States. Obama urges Ethiopia’s leaders to curb crackdowns on press freedom and political openness as he begins a visit that human rights groups say legitimizes an oppressive government. Obama’s trip marks the first visit by a sitting U.S. president to Ethiopia, a fast-growing economy once defined by poverty and famine. Obama wraps up visit to Kenya with a speech about discrimination against women. Every country and every culture has traditions that are unique and help make that country what it is, but just because something is part of your past doesn’t make it right; it doesn’t mean it defines your future. Around the world there is a tradition of oppressing women and treating them differently and not giving them the same opportunities, and husbands beating their wives, and children not being sent to school. Those are traditions. Treating women and girls as second-class citizens. Those are bad traditions. They need to change. Treating women as second-class citizens is a bad tradition: it holds you back. There’s no excuse for sexual assault or domestic violence, there’s no reason that young girls should suffer genital mutilation, there’s no place in a civilised society for the early or forced marriage of children. These traditions may go back centuries; they have no place in the 21st century. There are some things we must admit we don’t share, [that] our culture, our societies don’t accept. It’s very difficult for us to be able to impose on people that which they themselves do not accept. It is reported that Turkey has agreed that the U.S. may use its airbase at Incirlik to launch air strikes on ISIS. 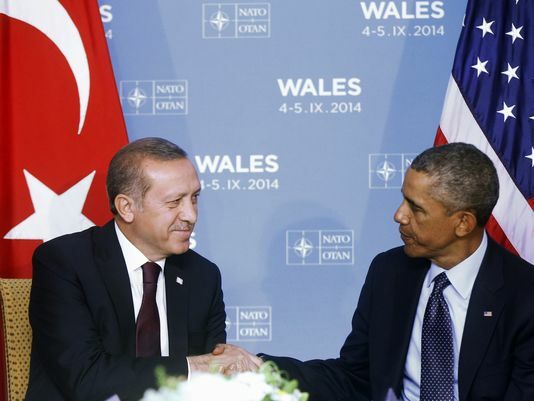 Turkey’s decision comes one day after a telephone discussion between Presidents Obama and Erdogan. US officials decline to give details of the agreement with Turkey, and spokesmen decline to confirm it officially, saying it was up to Turkey to confirm. Turkish officials decline to comment on the report. deepening our ongoing cooperation in the fight against ISIL, as well as common efforts to bring security and stability to Iraq and a political settlement to the conflict in Syria. 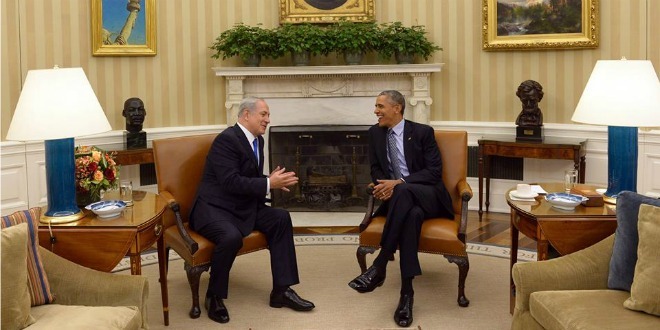 The two leaders affirmed that the United States and Turkey stand united in the fight against terrorism. The leaders also discussed efforts to increase cooperation to stem the flow of foreign fighters and secure Turkey’s border with Syria. President Obama makes his last appearance on The Daily Show before Stewart’s retirement. I can’t believe you’re leaving before me, I’m going to issue an executive order. Jon Stewart cannot leave the show. It’s being challenged in courts. President Obama orders flags to be lowered to half-staff at the White House and federal buildings across the country until July 25, to honor the victims of the shooting, after facing pressure from lawmakers and others. We honor their service. We offer our gratitude to the police officers and first responders who stopped the rampage and saved lives. We draw strength from yet another American community that has come together with an unmistakable message to those who would try and do us harm: We do not give in to fear. You cannot divide us. And you will not change our way of life. Nothing is more futile than trying to live in the past. We’re taking a historic and long overdue step in the right direction. Outside of the Cuban embassy, crowds of people cheered as the Cuban national anthem plays while three Cuban soldiers stood at attention while the flag was raised. One protester is removed by police. 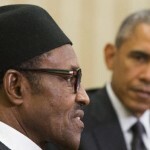 [Buhari] a very clear agenda in defeating Boko Haram and extremists of all sorts inside of his country. And he has a very clear agenda in terms of rooting out the corruption that too often has held back the economic growth and prosperity of his country. President Obama condemns the shooting deaths, says a full investigation is under way, and says the Department of Defense is working to bolster security at all of its facilities. It is a heartbreaking circumstance for these individuals who have served our country with great valor to be killed in this fashion. I speak for the American people in expressing our deepest condolences. We will be thorough and prompt in figuring out exactly what happened. We take all shootings very seriously.Obviously when you have an attack on a U.S. military facility then we have to make sure that we have all the information necessary to make an assessment as to how this attack took place and what precautions we should take in the future. When they describe their youth, these are young people who made mistakes that aren’t that different from the mistakes I made, and the mistakes that a lot of you guys made. The difference is that they did not have the kind of support structures, the second chances, the resources that would allow them to survive those mistakes… That’s what strikes me — there but for the grace of God. As you well know, there are four Americans in Iran, three held on trumped-up charges ,according to your administration, one whereabouts unknown? Can you tell the country, Sir, why you are content with all the fanfare around this deal to leave the conscience of this nation and the strength of this nation unaccounted for in relation to these four Americans? I gotta give you credit, Major, for how you craft those questions. The notion that I’m content as I celebrate with American citizens languishing in Iranian jails. Major, that’s nonsense and you should know better. President Obama defends the nuclear deal brokered with Iran, at a White House Press Corp meeting, arguing that the only way of assuring Iran not obtain a nuclear weapon is the agreement between the United States, Iran, and five other countries. 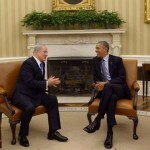 The deal obtains assurances from Iran to stop and immediately downsize its nuclear program. In exchange, all previous sanctions are lifted. This is the most vigorous inspection and verification deal that has ever been negotiated. The bottom line is this. This nuclear deal meets the national security interests of the United States and our allies. It prevents the most serious threat of Iran obtaining a nuclear weapon… that’s why this deal makes our country safer and secure. Vigorous congressional debate on the deal is expected, with some efforts to block it. President Obama promises to veto any attempts to nullify the treaty. I expect the debate to be robust, and that’s how it should be. This is an important issue. I hope we don’t lose sight of the larger picture — the opportunity that this agreement represents. President Obama grants clemency to 46 men and women who have spent years and faced decades in prison for non-violent, drug offenses. Their punishments didn’t fit the crime, and if they had been sentenced under today’s laws, almost all of them would have served their time. I believe…America is a nation of second chances. And I believe these folks deserve a second chance. With decades of experience delivering health care services to millions of Americans, Andy has developed a track record as an effective and innovative leader who gets results. As acting administrator at CMS, Andy has played a crucial role in leading efforts to combat health care fraud, reform health care delivery, and improve health outcomes. That experience makes him the perfect person to lead this critical agency.